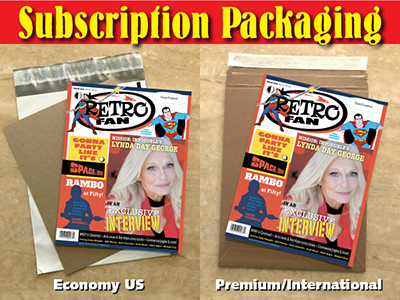 RetroFan Subscription (4 issues Economy US) [Starts with NEXT issue] : TwoMorrows Publishing, The Future of Comics and LEGO™ Publications. RETROFAN celebrates Pop Culture of the 1960s, 1970s, and 1980s through a variety of recurring (and rotating) departments. Edited by Michael Eury. IS THIS A GIFT SUBSCRIPTION FOR SOMEONE ELSE? Be sure to include the recipient's address in the "SHIP TO" field. CLICK HERE to download a gift card you can send to let them know it's on the way.